How was your weekend? Did you do anything special, or get to relax? My husband and I made a quick trip back home to Abilene, Texas to celebrate our friends' marriage, and it was such a relief to see family and friends from home. We were actually supposed to leave Friday night, but we were semi-pooped and decided to stay in San Antonio for the night and go on a date to Dough, an amazing pizzeria. 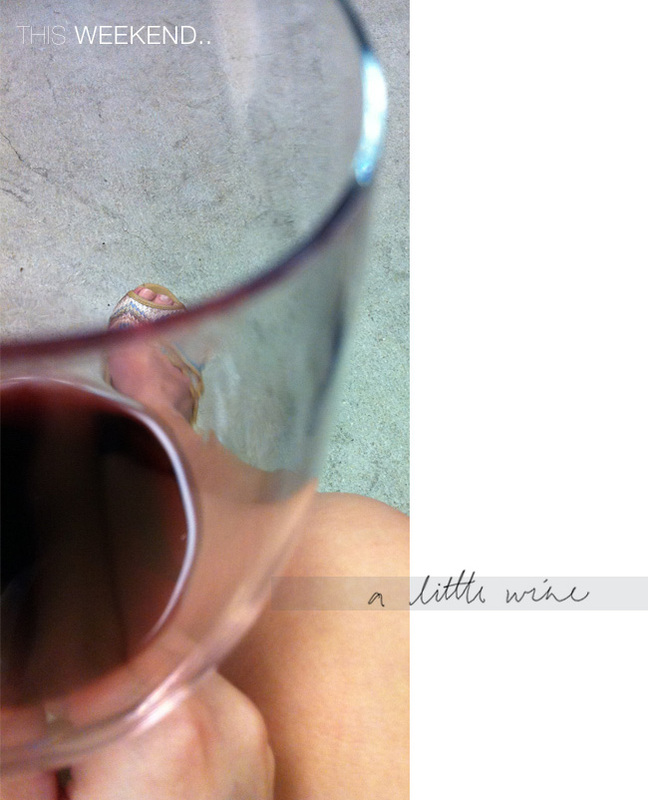 The wait at Dough was an hour, but time flies by with sips of red. AH! Finally on the way home! 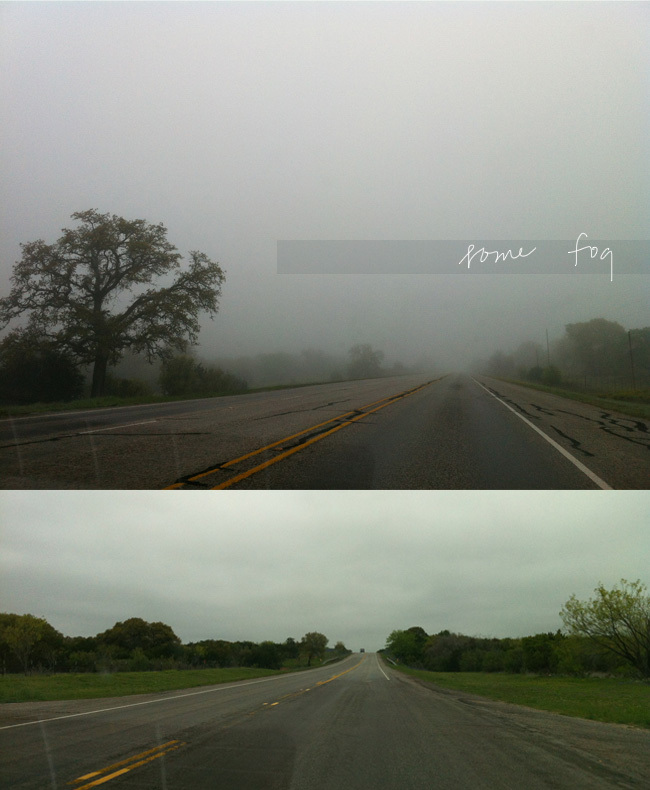 I love the fog when it's not overwhelming...as in, you can't see five feet in front of you. This was the good kind going out of San Antonio. You can tell we were getting to Abilene just by the change of climate. It's much drier than San Antonio. 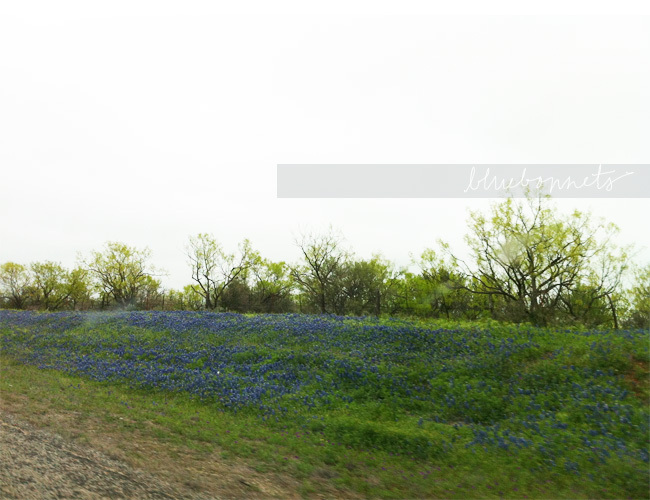 I was enthralled by trying to take pictures of bluebonnets along the side of the highway as we were driving. And of course, you can't forget the cows! There were tons of sheep and llamas as well, but sadly, I missed out on their beauty shots. Hope you're having a wonderful Monday morning! Great photos! Wine always makes waiting better :) I'm glad you had a fun time...can't wait to see if you can get photos of llamas next time haha. Thanks for visiting dot dot dash and you're adorably sweet comment, made my day! Kyla: It does! I usually don't even like wine, but they had some great stuff there. I'll try! You should see them...they stand in the middle of all the sheep, and the sheep are so rambunctious and leap on gigantic rocks. I love the pictures!, you know...your Texas looks, a lot, like my argentinian pampas (plains), even the cows! Fog, wine and outings?! I'm so happy I get to love vicariously through you. Alicja: Thanks so much for your comment and for stopping by! Can't wait to see more of your posts and photos. :) Love the light in them! Ines: Does it really? :) Sounds like I would get along fine in Argentina then! Argentina sounds so much more exotic than Texas...I keep telling my husband I want to go there. It sounds so inspiring to be an architect in Argentina like you are. Thank you, Ines! It was a great start to the week. Planning on being productive the rest of the week! Oh by the way, I loved your black and white series! It's just so elegant and timeless, in my opinion. Ana: You made me laugh out loud! I think I live vicariously through you, actually! I keep saying to myself, "Now HOW does she constantly come up with all that amazing stuff on her blog and still manage to make it look so cohesive??" It's so nice to be inspired by people like you! Thank you, Holly! :) So glad you liked it..cows and everything!